Need a great quality desktop scanner? Buy this Epson V850 you won't be sorry! Greg reviews the Epson V850 Pro scanner and included software. It can scan prints, negatives and transparencies and includes 2 sets of film holders. Any questions, ask in the comments below. Keep shooting! Feel free to download and examine these sample scans. They were scanned using the V850 scanner with SilverFast Ai Studio Software, untouched except for the watermarks. Images copyright Gregory Cazillo, All Rights Reserved. Do Not Duplicate. Hi Everyone, my name is Greg Cazillo from Cazillo.com and I am reviewing the Epson V850 desktop scanner. It can scan reflective materials like photographs, newspapers, artwork, documents or brochures, plus transparent materials like negatives and transparencies. This makes it a great choice for anyone needing a high resolution digital image especially hobbyist and professional photographers and retouching facilities. Besides the scanner itself, it comes with two sets of film holders for 35mm negatives, 35mm slides, medium format and 4x5 film. These film holders ensure your film is aligned and does not curl while being scanned. Plus having two sets allows you to scan one set of film while loading a second into the holders. The scanner comes with software from Xrite along with calibration target which will allow you to create an ICC profile for the scanner for a perfect color balance. Be sure to watch this series of PHOTOCADEMY videos covering all aspects of color management from capture to display and output. A second software package included is from LaserSoft Imaging called Silverfast SE PLUS. Silverfast takes your scanning to the next level, allowing fine grained control over resolution, histogram, color, contrast and batch scanning. I will have a review of Silverfast software along with a series of tutorials in future videos, check the description below for updates and links. -A few features of the V850 include minimal warm up time thanks to LED light sources. 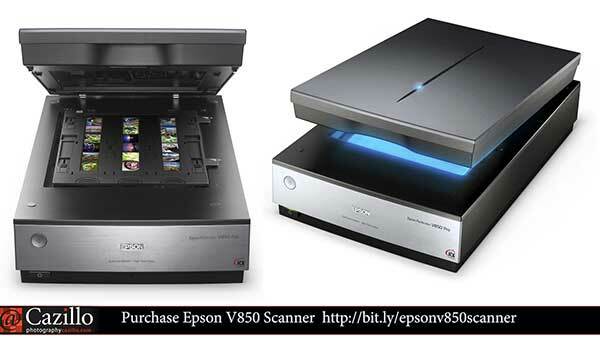 Some Epson scanner models, including the V850, have a dual lens system, one for reflective media the other for transparent media. Included film holders are very easy to use and have guides built into the scanning bed to insure proper alignment. Film holders also have height adjustments for perfect scan sharpness. The scanning lid is removable so you can scan larger items like books. Other accessories include its power cord, USB cable and there is a scan button on the front that will open Epson Scan software. Lets get technical for a moment. There are two primary specifications that matter when determining which scanner to buy, Optical Resolution and Maximum Optical Density. Optical resolution is the ability of the hardware components to record and display detail. The higher the optical resolution, the higher the quality of the final scan. The V850 has an optical resolution of up to 4800 PPI for photos or 6400 PPI for film or transparencies. National Software Testing Laboratory, or NSTL, showed the maximum optical density to be greater than 4.0 which is a big advantage for scanning slides and negatives where shadow detail really matters. You can download sample images at the link below. The magic happens with this scanner inside of the software. You can use Epson Scan as a plugin inside of Adobe Photoshop or standalone. If you are scanning for archive or any kind of quality output you should be using either Epson Scan or the more advanced Silverfast software. Let's start off by going over the default software Epson Scan. The first thing you will notice is the three scanning modes; Full Auto, Home and Professional. In Full Auto mode the software detects what type of media you are scanning, auto selects resolution and whether the media is black and white or color. You can specify basic things like media type, resolution, dust removal, color restoration, orientation and where to save the image files. Home mode gives a little more control over media types, brightness and descreening, film size and the most important the color profile you can create with the included Xrite software. The professional mode shows all scanning options and allows you to create scanning profiles for batch scanning and more consistent scans. 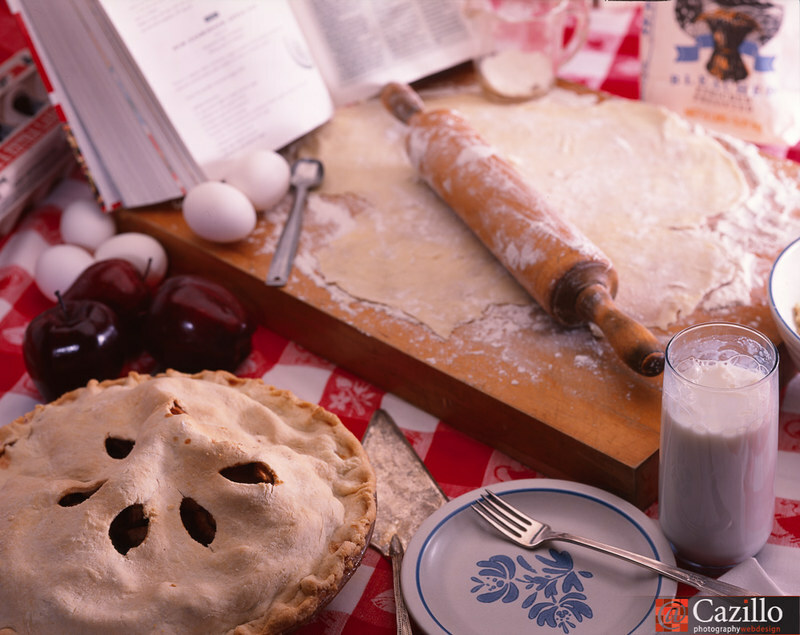 48 bit color, sharpening, dust removal, image histogram, tone curves, color balance and grain reduction are all additional options added in Professional Mode. Scanning documents or transparent positives are the easier tasks, but scanning film negatives may need additional steps. It is next to impossible to get a perfectly clean scan, there are almost always spots or dust we need to remove. Thanks to Digital ICE Technologies built into the scanner and software the total amount of time we spend prepping files for final output can be dramatically decreased. When scanning a print the scanner will make a second pass and use two lamps at different angles to detect dust, tears, folds and creases in the image then automatically remove them. Digital ICE will also detect dust and scratches in film with an infrared sensor which more accurately distinguishes between dust on top of the film versus details in the photograph. Scan times vary depending on the media size and other scan options selected. File sizes also vary and can get really large if you choose a file at the maximum 6400 PPI and add the dust removal. You can set the software to give your files a specific filename and number, location to store the files and file type. The preferred image format is a tiff file for maximum quality, but you can choose a jpeg file or bitmap file for low resolution work or a pdf for documents. The included i1 Scanner software seems to be lackluster. Instead of using the included CD to install the software I downloaded version 1.4.0 from xrite.com. The installer locked up my Windows 7 64 bit workstation before completing. I rebooted, then tried launching i1 to see if it would run. I1 did launch, immediately asking me to upgrade to version 1.6.3. I downloaded the updated version automatically and ran the installer. When the installation was almost completed it caused a blue screen of death, again forcing a reboot. To date I have not gotten the i1 software to run on my workstation. The other software included with the V850 is Silverfast SE Plus. Fortunately this software installed fine right out of the gate. Silverfast has an incredible number of options which gives you total control over your final output. One interesting option is the ability to create RAW files for archival purposes. These RAW files are in DNG format and can be read by their Silverfast HDR software which is not included. Silverfast has film profiles for most negatives and Kodachrome, enhanced dust and scratch removal technology, and multi exposure mode for greater tonal range. I did have an issue with Silverfast, while adding my serial number it asked for the original installation CD. This is a problem since my MacBook does not have a CD drive. I was able to use a fully functional demo license, but until you unlock it with a full serial number the software will apply a watermark to all scanned images. They have a workaround which allows you to exchange your serial number for a new one, see the video description for the link. Before you can exchange the serial number you will have to register your product with Lasersoft. If you want to get the full potential from your V850 scanner, use this software. If you just need a quick scan here and there, the Epson Scan software works fine. I will have a full review of Silverfast in a future video. Let's summarize my review of the Epson Perfection V850 Pro Scanner. There is no other flatbed scanner on the market that has the features, performance, or quality of this scanner. Bundle that with the extra software which would cost hundreds of dollars extra, that makes this is a package that can't be beat especially at $850. In order to get a higher quality scan you would need to spend at least $2000 on a dedicated film scanner. If your budget doesn't allow for a V850 purchase, take a serious look at its little brother the V800. It has almost the same resolution and quality, one set of film holders, and is about $650. The V800 doesn't come with profiling software, but you can purchase that as an add-on from Silverfast to Silverfast AI Studio for $99 along with their targets that start at $70. Any photographer with their older archives in film, or is still shooting film, needs a great quality scanner and this one foots the bill perfectly. You can purchase a V850 with this link. Be sure to watch my videos on a color managed workflow, V850 scanner tutorials and Silverfast tutorials. If you have any questions please send them over, I will be glad to answer. Keep Shooting! regarding the v850 scanner. once the images are scanned and saved to my computer, can i use the image in any other program to make adjustments? or will i be restricted and only be able to use the software that i scanned it with. i don't want to have saved jpegs and then be forced to use the epson softward for all future applications? also can i save these scanned images as tiff if i choose to or are there restrictions? thank you. Epson R2000 Photo Printer Review & More Photo Assignment Prizes!